Can I let you in on a secret? After my quiet time with God, I start most days on a hopeful note, but then I often need a mental makeover by 5:00 pm. Work and ministry responsibilities, email, errands, housework, and phone calls wear me out, and I need an attitude overhaul by late afternoon. Negativity knocks at my door. Before I know it, I’m fretting over all the unfinished items on my list. Then I stress over what I’m going to cook for dinner, as if it were an issue of epic proportions. 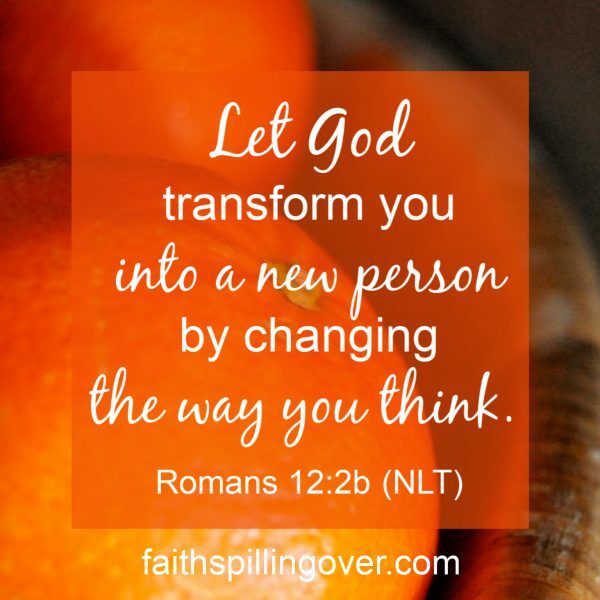 Let God transform you into a new person by changing the way you think (Romans 12:2b). 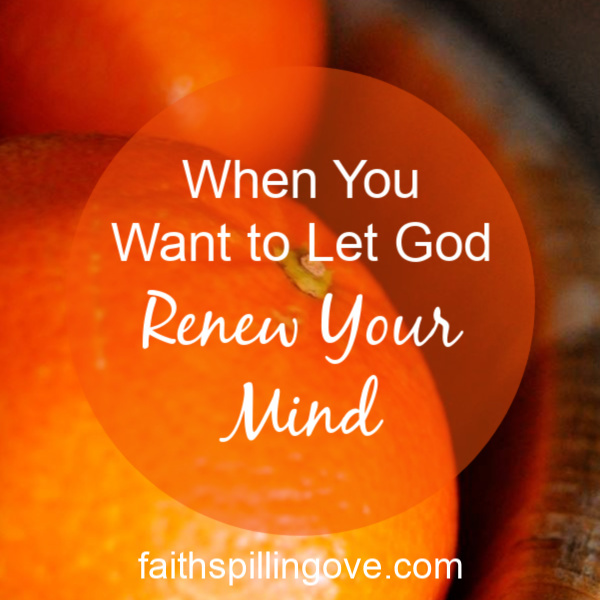 I want to let God renew my mind, but my own thoughts get in the way. I need to change the soundtrack going on inside my head that replays my to-do list, my worries, the latest bad news story, or the suspense thriller I maybe shouldn’t have watched last night. I want to let God change the way I think. I know of no better way to invite God to renew my mind than to meditate on His Word. That’s why I committed to memorizing one Scripture passage each month in 2019. Last week, I wrote about memorizing single verses. 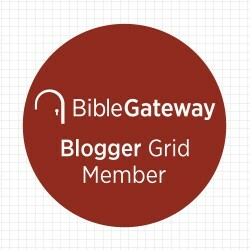 Today, let’s look at memorizing whole passages. Memorizing a whole passage helps us park our minds on it for a few weeks and really think about what it means for our lives. Start with an “I can do this” mindset. Personally, I have a hard time memorizing my phone number, but I have Psalm 23 down pat, and it has come to my aid many a time when my thoughts need rescuing. Choose passage that encourages or challenges you, and read the whole thing through several times. Then you start memorizing it verse by verse. Read the first verse aloud 5 times. 2. Write down the reference number and copy the verse under it. 4. The next day, read your verse 5 times and say it 5 times from memory. 5. When you’ve memorized the first verse, go on to the next. 6. Each day review the verse you previously memorized; then work on the one you’re currently learning. 7. Every few days, or once a week, review the entire passage. You can use an app like Bible Memory, but in order to memorize and meditate on it, I prefer to write Scripture out on an actual page. Studies show physically writing something down activates the brain to think, remember, and make connections in ways that go far beyond typing it on a screen. I believe there’s a connection between hand and heart. When I write something down, it becomes mine. A mini spiral notebook or a small Moleskine work equally well. Write one or two verses on each page as you work through the passage verse by verse. Work on Scripture memory the same time each day, so it becomes a habit. Saying the number each time with the verse may sound weird, but it helps you keep track of the order of the verses in a long passage. Pay special attention to memorizing the number and the first three words to each verse. Listen to your passage on the way to work or on the walking trail. When we memorize passages of Scripture, we’re equipping ourselves to make a powerful choice. The next time negative thoughts come knocking at our door, we can choose to flip our thought pattern by running Scripture through our minds instead. This afternoon, rather than griping about making dinner, I might get out my Scripture memory book. 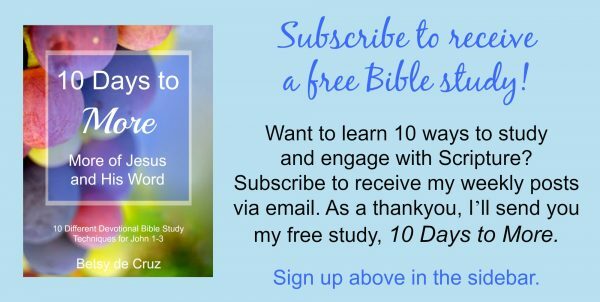 Now it’s your turn: Can you think of low moments in your day when reviewing a scripture verse or passage might help you flip your thoughts? 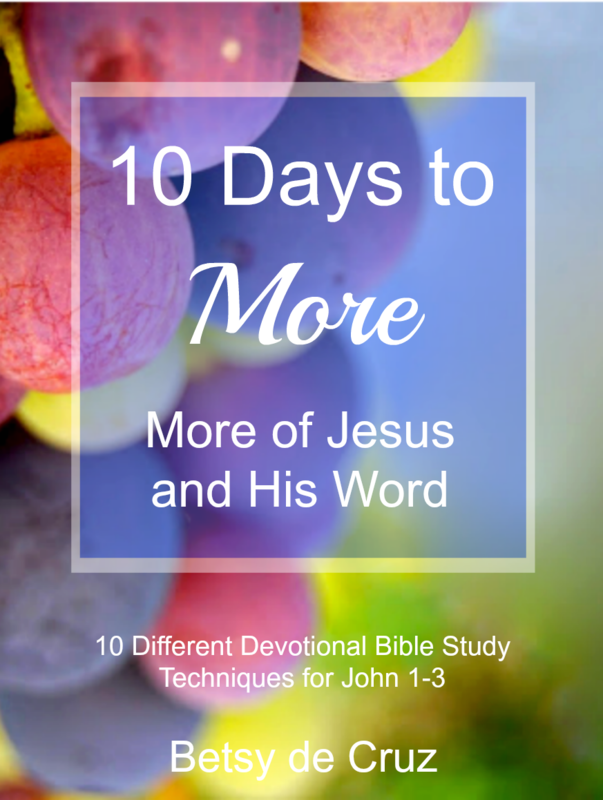 Note: Would you consider joining me to memorize one passage each month in 2019? Two weeks,ago I sent 12 Scriptures to Build Faith in 2019 to subscribers, but you can still get it now if you subscribe. We’re starting in January with Lamentations 3:21-26. Such great tips, Betsy! I need to get back to reviewing verses I’ve memorized previously and start anew with regular new memory verses. I can’t tell you all the times God has brought verses to my mind that I have hidden in my mind and heart–when I’m speaking to someone, when I’m reading other passages of Scripture, when I’m in distress and need to hear His voice, in counseling someone who’s hurting, in just my quiet moments of prayer with Him. It isn’t just about knowing the Bible or knowing what to do. It is God’s voice…and it is living and active and helps me to have just what I need for the moment. The Bible comes alive when we hide it in our hearts. Thank you for sharing this with us. I needed a push to get back to it! Blessings, sweet friend! Amen, Sabra! Thanks for your encouragement here! I so appreciate your sharing how this works for you. 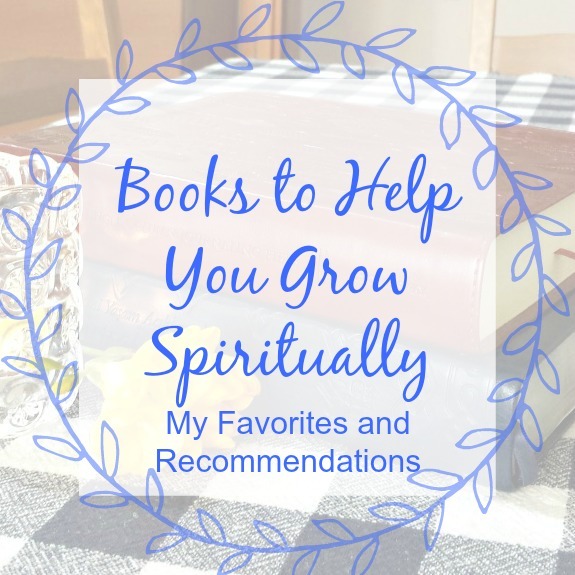 I also had gotten away from memorizing Scripture in the past few years and committed to returning to it. I want to hide His Word in my heart! Blessings to you too! Very helpful post, Betsy. The “get the first three words” tip gathered my attention. Think I’m going to try it! Thanks, friend. You’re welcome, Kristi! Thank YOU for reading. Yes, that first three words tip helps me keep longer passages straight. Great! I so struggle with holding verses in this memory bank of mine! You have some great suggestions for doing this and I am ready to begin again!! I have so enjoyed your visits to my place, Betsy. Really appreciate your presence. Keeping Truth handy by storing it in our brains is such a healthful practice! You are spot on here, friend! I also find that just reminding myself, “Okay, my energy is low. I haven’t eaten since lunch. I’m tired. It’s really no wonder I feel this way right now. I need to carry on.” Thanks for pointing that out. Love the practice of actually saying it aloud! an attitude overhaul. well, I certainly can relate to that, Betsy, although sometimes for me I need that overhaul before morning is half over! meanwhile, I hear the Spirit whispering, nudging me to straighten up. and sometimes He simply speaks words that were memorized more than half a decade ago. Hah! You are cracking me up, Linda, with your spot-on comment! I sometimes need an overhaul well before noon myself! Thanks for that. 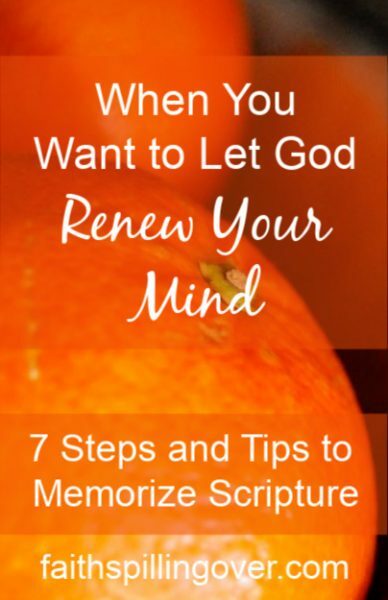 I need to constantly renew my mind so scripture memory comes in SO handy for that. God knows what he’s doing by encouraging us to keep his word hidden in our hearts. Thanks, Betsy! Yes, indeed, Lisa. God DOES know what He’s doing! I need His Word in my heart and on my mind. You’re not kidding the kids will memorize circles around us! They are amazing and I don’t know what I’m going to do when they’re grown and gone. They keep my memory on my toes for sure! Oh, I love the needing a mental makeover by 5 pm! As always you give great tips with truth and personality. Thanks for the motivation to get a memorizin’! Thanks for your encouragement, Ginger! I appreciate you.